Coconut flour is obtained from the coconut pulp as a by-product of the production of oil and coconut milk. It has a slight aftertaste and aroma of coconut, but it is not sweet. It is worth using because of the numerous health-promoting properties. Learn about the nutritional value of coconut flour, its possible culinary uses and the recipe for homemade coconut flour. Coconut flour contains a lot of fiber and protein, and few carbohydrates easily digestible, which is why it is used in diets for diabetics and slimming people. Its regular use contributes to lowering blood sugar levels and brings other health benefits. Coconut flour is produced from the pulp lining the interior of the coconut. It has a white color and a delicate scent and coconut flavor. It is sold as a finely ground powder. Depending on the degree of grinding coconut flour can be tiny, light and well aerated or thicker and heavier. Coconut flour does not contain gluten, hence it is more and more often used as a substitute for traditional cereal flours. 100 g of coconut flour provides 443 kcal. It is an excellent source of fiber, it contains twice as much as bran. Coconut flour can be classified as low carbohydrate flour indicated to people with disturbed sugar economy. The fats contained in coconut flour are mainly saturated medium-chain fatty acids (MTC), which have antibacterial and antiviral effects, accelerate the rate of metabolism, contribute to faster fat burning, and thus coconut flour is used in slimming diets. It is also a very good source of protein. It can be recommended for people practicing regular physical activity and for children and adolescents in the period of growth, when the demand for protein is higher. -a wet method in which flour of a bright color, richer in fiber, with a lower fat content is produced; the main product is coconut milk. It is possible to obtain flours with different composition and properties, e.g. full-fat flour, partially defatted flour, low-fat and high-fiber flour or high-protein and high-fiber flour. The process of producing coconut flour is very cost-effective, because from a single starting product, which is coconut pulp, several end products are produced with high quality oil, milk and flour. Coconut flour does not contain gluten – a protein found in cereals, which is often allergenic. It can be used by people suffering from celiac disease and intolerant of gluten as a replacement for cereal flours. It affects the acceleration of the metabolic rate and the leveling of blood glucose due to the presence of medium-chain saturated fatty acids MCT. It contains a lot of dietary fiber, which for a long time maintains a feeling of fullness, improves the bowel movement, helps regulate the level of cholesterol and blood sugar and remove toxins from the body. It has beneficial effects in the prevention of gastrointestinal cancers, especially the large intestine. It contains a small amount of easily digestible carbohydrates, which are the main cause of lifestyle diseases such as insulin resistance, diabetes and obesity. It has a low glycemic index and does not cause sudden jumps in blood sugar levels and insulin outbursts. Research shows that the consumption of products (including starchy foods) with the addition of coconut flour reduces the glycemic index of a meal and helps to keep glucose in the blood at a good and stable level in diabetics and healthy people. Coconut flour is recommended for people suffering from diabetes, insulin resistance and having problems with carbohydrate metabolism and slimming people, because the normalized level of insulin in the blood is conducive to fat burning. Regular use of coconut flour in the kitchen improves the lipid profile. It helps to reduce total cholesterol, bad LDL cholesterol and triglycerides in people who exceed the norm of these parameters. Regular consumption of coconut flour reduces the risk of cardiovascular disease and heart attack, and supports the immune system. Incorporating coconut flour into a daily diet can prevent colon cancer, because the fiber contained in it is metabolized in the intestine to butyrate – a substance important for good intestinal status. Coconut flour finds application in both sweet and dry recipes. It is cheaper than other flours with nuts, and at the same time equally healthy. It is recommended in low-carbohydrate diets indicated for diabetics and slimming people, because already a 15-percent addition of coconut flour reduces the glycemic index of the dish. It has a slight aftertaste and the smell of coconut, but it is not sweet, so it does not dominate over other flavors. Coconut flour contains a lot of fiber, so it absorbs water more strongly than other flours. 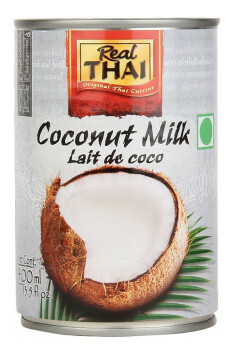 Coconut flour is increasingly available. You can buy it in stores with the so-called health food, supermarkets and online stores. 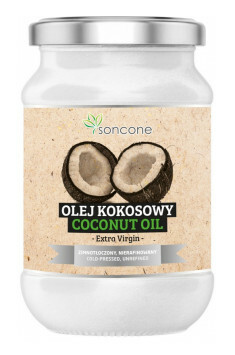 The prices of coconut flour range from about PLN 7 to even PLN 60-90 per kilo. Coconut flour can be prepared at home. This is a very good offer for people who also make coconut milk. Pour the coconut flakes 1.2 l of water, leave overnight. If you have a strong blender, you can skip the soaking of chips. Heat the chips with water, pour the warm into the blender and mix for a few minutes. Put the strainer on a pot, put in a double layer of gauze and pour the mixed liquid. Squeeze very well and thoroughly (you will get coconut milk that you can use for other dishes). Pour the shavings into a glass of boiling water, mix for a few minutes and pour through the gauze again. Put the impressed chips on a large plate, press with a fork, spread over the entire surface. Dry in the oven at 100oC or 80oC with heating up and down and air circulation for 1.5 hours, stirring occasionally and tilting the oven door to remove steam. Add the completely dry and cooled chips to a powder of the desired thickness. Add the coconut flour to the jar.